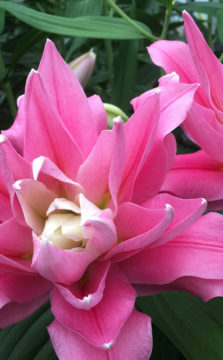 Bot Flowerbulbs exports flowerbulbs to 40 countries all over the world. 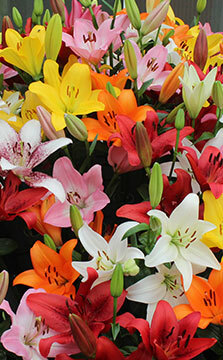 Mainly lilies, but also tulips, irises and gladioli. Bot Flowerbulbs was founded over a century ago. Over the years we gained a lot of experience in storing, preparation and export. At Bot Flowerbulbs we have a tight knit team of buyers and sellers. They travel the world so they can advise you and inform you of the latest developments. We work with the latest version of Navision to prepare all the required documents. We are member of the so called ketenregister and work with Client-Export. This gives us a digital track and trace system to guerantee and safeguard fytosanitary requirements throughout the whole production chain. 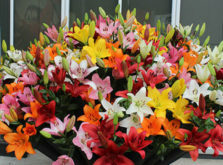 You can visit our company during the Dutch Lily Days. We invite you to visit our greenhouse were you can check for yourself the quality of all our stock. We planted also a couple of novelties from different breeders.